* Japan. Lives in New York, USA. 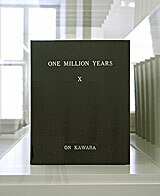 On 8 June 2002, Kawara was 25,373 days old. 29.5 x 23.5 x 8 cm. Past: all years from 998.031 B.C. until 1969. Future: all years from 1969 until 1.001.995 A.D. 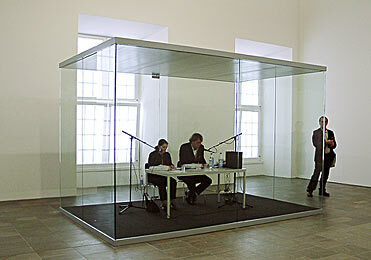 The people in the glass cubicle are reading the years out loud.